In the heart of Nelson Bay. 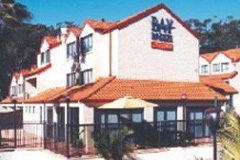 Nelson Bay Breeze Resort is located in Nelson Bay only 100 metres from the beach. Check for the best room rates and book online. See other hotels in Port Stephens. The Nelson Bay Breeze apartments are close to the beach and the Fly Point Marine Reserve and close to many attractions such as Whale and Dolphin Cruises. It is ideally situated for Families to visit the Port Stephens area. The facilities are family friendly and extensively catered for. Nelson Bay Breeze Resort is an ideal location for romantic getaways and time away. The one bedroom apartments have all the luxuries of home and more. Getway and relax with double corner spas and enjoy the natural surroundings of the Port Stephens area. Everything from the beach, fishing, local markets (weekends once a month), whale & dolphin tours, tobbogan park, shopping, dining and much more. Only a 5 minute walk to the Nelson Bay Marina, Shops and Restaurants Nelson Bay Breeze Apartments is perfect for those wanting a centralised location within Nelson Bay.